Create a dynamic forum with this minimalist, vibrant dark theme. With concepts from Apple’s Human Interface Guidelines, your forum will be sleek and captivating. Make iO Dark Mode unique with category strips that automatically change color based on your primary brand color. When purchasing iO Dark Mode, you get a free [TH] Nodes license. It is automatically created after you checkout. You can learn more about [TH] Nodes here. Looking for a light version? 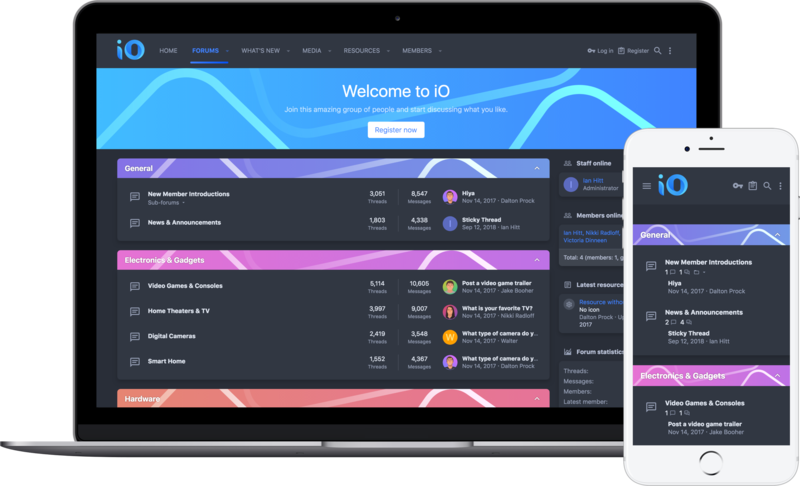 Click here to check out iO.